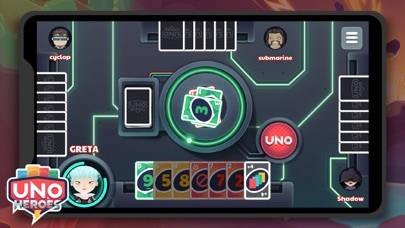 UNO Heroes is a fun version of UNO with unique features. This American classic was developed in 1971 by Merle Robbins, and there are many ways to play it. 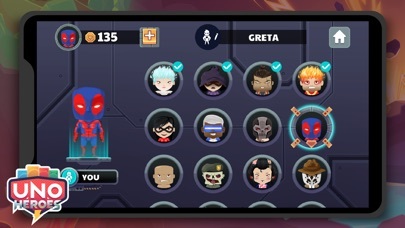 Your main goal will be to free the locked Superheroes – you must win as many games as possible to do that. The rules are simple, especially since many of you already know how to play. 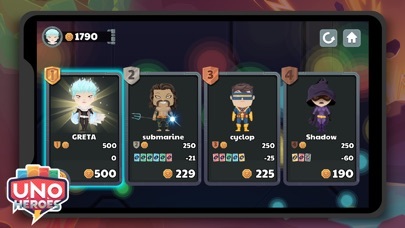 The player who is first left with no cards wins. 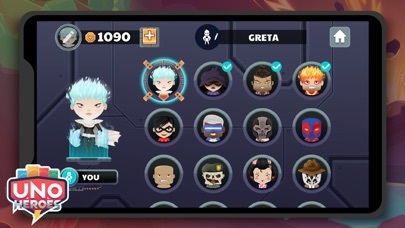 You’ll find special cards such as: - The Joker can be placed on any card at any given time and allows you to change colors. - +2 forces the next player to grab 2 cards and lose their turn. - The Skip skips the next player. - The Turn switches the game flow direction. - +4 is probably the best card you can get. It lets you switch colors and forces the next player to grab 4 cards. However, you can only play this card when you have no others left to play. 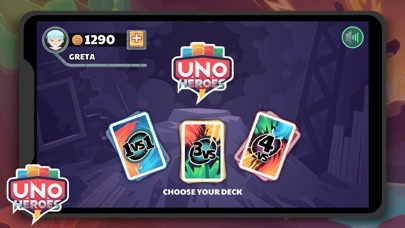 UNO Heroes includes 3 game modes: vs 2, 3 or 4 players. The more people around the table, the harder it’ll be for you to win, but the reward will increase as well. 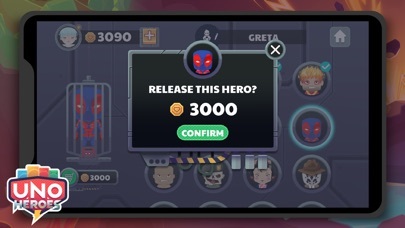 You’ll also get a streak bonus that will help you rescue the 57 trapped Superheroes. 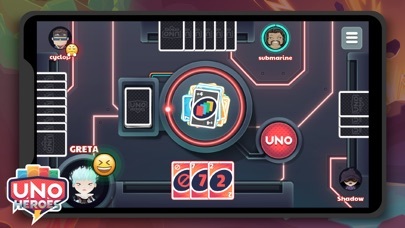 Don’t forget to tap that UNO button when you’re ready to let your second to last card go!